Hans Kristian Rausing, an heir to the Tetra Pak fortune, has been given a 10-month suspended custodial sentence after admitting he denied his wife, Eva, a decent and lawful burial. Isleworth crown court heard a story unfold of a loving couple's terrible drug addiction and social isolation, and Rausing's total denial after his wife's death on 7 May. Eva Rausing's body lay for two months under a pile of clothes behind the sealed door of a second floor annexe in the couple's home in Belgravia, London. 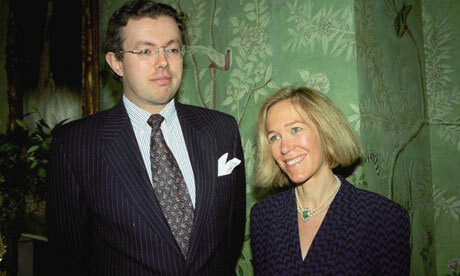 Hans Kristian Rausing with his wife, Eva, in 1996. Guide to all Funeral Directors, Monumental Masons, Funeral Flowers, Exhumation services, Guide to International Repatriation of the Deceased , Memorials and Headstones in the UK.